Busby Berkeley choreographed dancers to mimic the motions of machines and modern inventions. 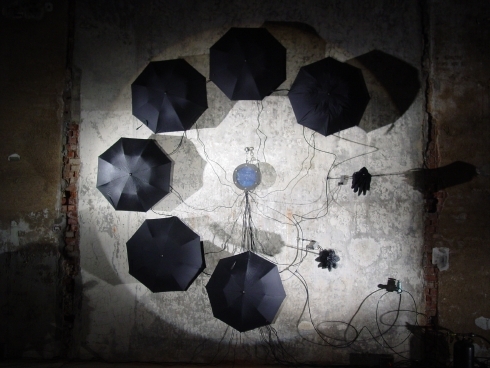 “AutoGene” is the flipside of this .It’s a simple aesthetic looking robot composed of eight modified umbrellas mounted in a circular pattern. A cocktail of air hoses and electrical cables join these umbrellas to a central computer which enables “AutoGene” to produce a choreographed dance to music which erodes the machines mechanical qualities and transforms the mundane umbrellas into magical animated objects.